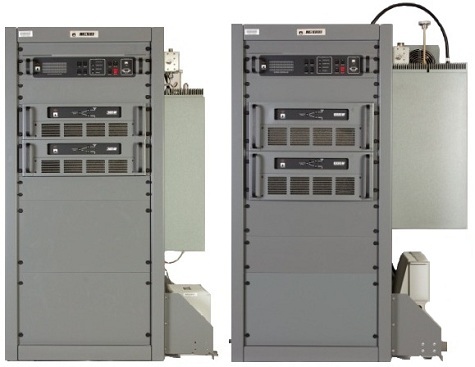 The NG300 (300 watts) and NG1000 (1000 watts) are main/standby (primary/secondary) analog VHF transmitter systems operating in the 162.4 MHz to 162.55 MHz band. The system is intended for use as a weather radio transmitter that is capable of delivering a continuous stream of audio programming – in the form of weather messages – directly to the public. Weather warnings that may pose immediate verified threats to the safety and well being of the public. Appended to these warnings are signals and digital codes that can alert individuals to specific threats in specific areas and that can be used to trigger the FCC’s Emergency Alert System (EAS). Meets NOAA Weather Radio (NWR) Transmitter specifications. 300 watt and 1000 watt models. Password protected remote/control monitor application. 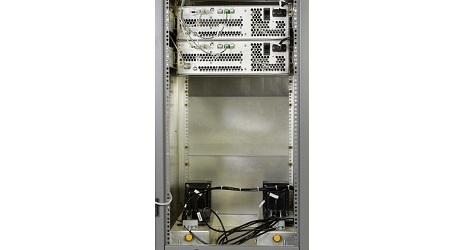 Nautel NG300 and NG1000 were designed to meet the stringent technical and reliability requirements necessary for use in the NOAA Weather Radio (NWR) network. The Nautel NG series Weather Radio Transmitters are available in 300 watt (NG300) and 1000 watt (NG1000) models. The NG Series Weather Radio Transmitters are capable of providing full power into a 3:1 VSWR. 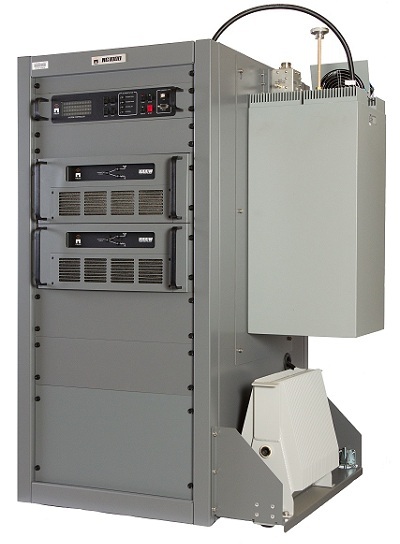 The NG Series Weather Radio Transmitter system cabinet consist of two completely redundant VHF transmitters (A and B) in a main-standby configuration, a System controller, RF coaxial switch, Dummy load, Bandpass filter, System output directional coupler, Primary/secondary ac distribution units, Audio surge protector, Modem and a Monitor Unit for Remote Off Air Monitoring of the Weather Radio Transmitter System. Remote control and monitoring is provided via a Windows-based PC application with two levels of username/password access. 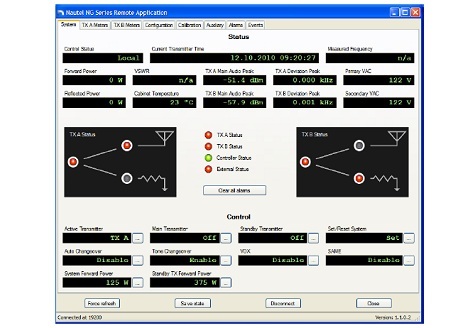 Complete control/monitoring functionality including meters, configuration, calibration, auxiliary I/O, alarms and events are available via the NG Series Remote Application. This data can also be downloaded to CSV files. The NG Series Remote Application connects remotely via a modem and also locally via a front panel serial port or USB connection.